Persons who have been entering the country illegally and traders who have been eluding the state with illegal goods from neighbouring Togo through the Volta Region may not be able to have their way as the Ghana Immigration Service (GIS) has re-opened one of its major checkpoints at Asikuma. 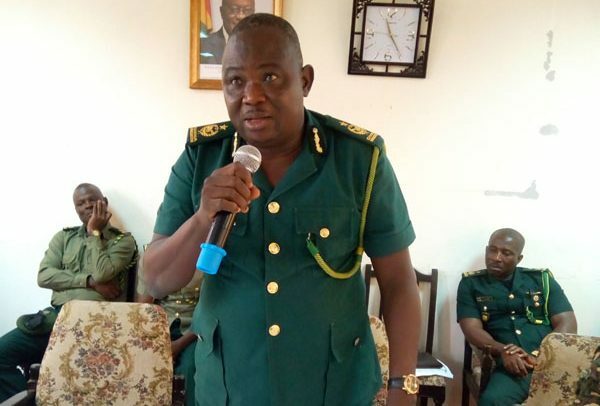 Although Asikuma is in the Asuogyaman District of the Eastern Region, it is under the control of the Volta Regional Sector of the Ghana Immigration Service. Asikuma is the easiest route in accessing Ghana’s major cities such as Accra, Koforidua and Kumasi from the eastern boundary of the country. In recent times, the checkpoint which has helped to deal with smuggling and illegal migration was closed due to challenges with space and logistics as well as other internal and external factors. The Deputy Commissioner of Immigration (DCI), Peter Claver Nantuo (ESQ), who is the Regional Commander, said his desire to ensure the re-opening of the Asikuma checkpoint is to save revenue, improve security and ensure economic stability in the country. “The Volta Region has the longest border line with numerous approved and unapproved routes. In as much as the border patrol unit (BPU) of the GIS is presently doing a yeoman’s job in ensuring border security, despite the limited logistics, much more would be achieved with the requisite support from all” he pleaded. He made a passionate appeal to government through the Asuogyaman and the Ho West District to make a request for motorbikes to facilitate the smooth operations of the officers, adding “I want to give the GIS a new face in my catchment area”. He advised the officers to see the ordinary man as a partner and not “a suspect or nobody” in the course of their work. He cautioned that any officer found culpable of any wrongdoing would be made to face the full repercussions of their misconduct. DCI Nantuo also called for a good working relationship between his men and other stakeholders such as customs, CEPS, police, transport unions, chiefs, and opinion leaders.